I have a great cover artist in Bethany Barnette and love & learn in our design journeys together. As I resolved the final beta readers’ comments and began formatting the third Abishag’s manuscript for publication, Bethany delivered its cover. Oh my! Sinking Ships, the first Abishag mystery cover went through a couple of iterations as I waffled on the shipwreck photo in the window and on the book subtitle. The first photo was an old Daily Breeze black and white from its newspaper article about the 1961 SS Dominator shipwreck on the Palos Verdes Peninsula. A former classmate supplied the final one. In the second Abishag mystery, Indelible Beats, she surprised me by using a photo I’d taken. In my email to her, I asked her to find something like it, but somehow the one I’d sent worked in her design. 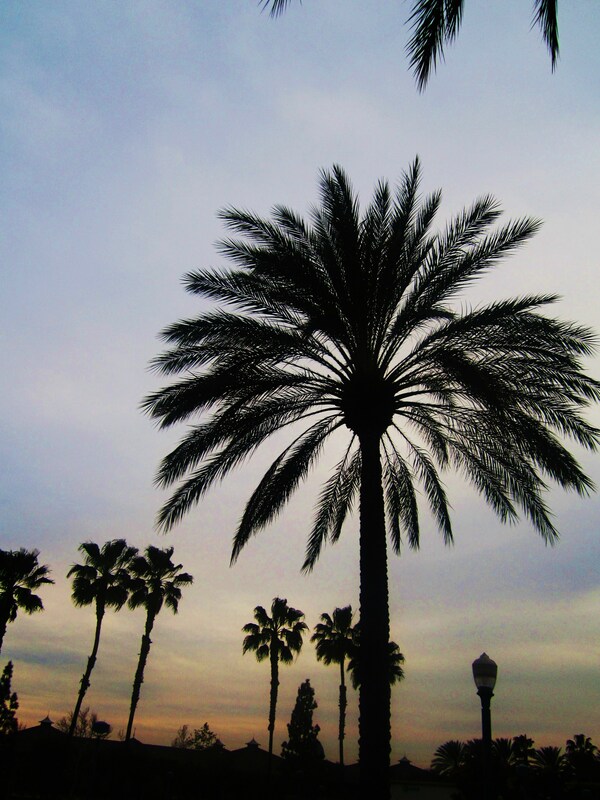 For Riddle in Bones, the third Abishag mystery, I’d asked Becky Lang to take some pictures of palm trees. 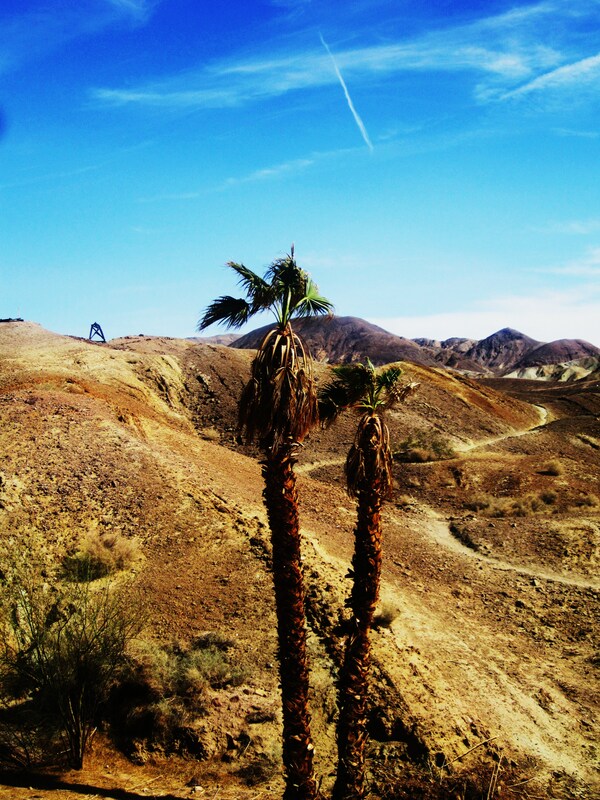 She shot in three locations: Barstow, Calico and Victorville. I chose my two favorites which appear above and here. Thanks, Becky! Unfortunately neither photo worked for Bethany, but I love the desert scene she chose. Without knowing anything about the third mystery, she provided two covers. Both took my breath away, but it was the second one that both nailed and amplified the book. Cheers! Here’s our first look at the Riddle in Bones cover. The wall colors are commonly used in California’s Palm Desert homes and the chair matched my vision of the chair Leslie used when reading to Henry. In my list of druthers about the cover, I never mentioned a chair. In our second set of email, she provided me the jpeg to the left, showing the three Abishag covers. Love ’em! Each unique but still sisters in their bones. As far back as I can remember, I’ve studied book covers. I’ve bought books for their cover alone. As I bookmark my place and close the book, I spend a few moments studying the cover for elements I’d just read, for the story’s arc, and for clues on how it will end. When the design doesn’t harmonize with the book, I’m left a little bereft. When the cover completes the story, I’m satisfied. Every time I pick it up in the years to come, it’s as if I’ve come across a vacation photo—I smile, remembering the journey. Thank you for reading this post. 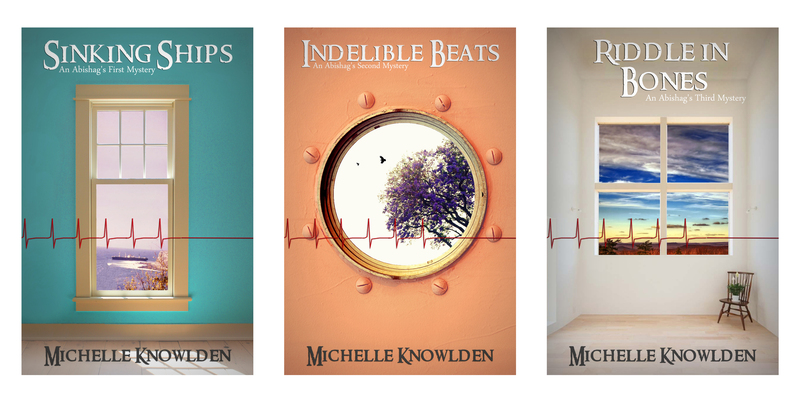 Please comment: I’d love to hear what you think about book covers too. 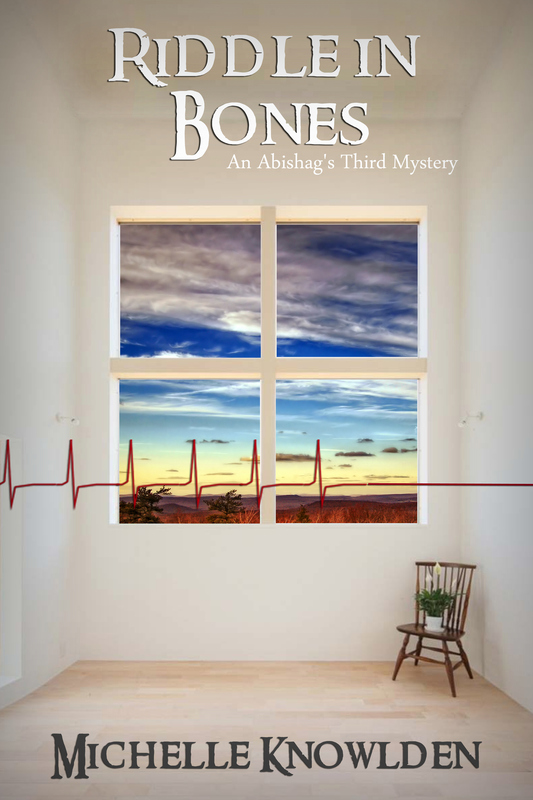 Upcoming: the April 4th 99 cent sale of 20 wonderful books that include Indelible Beats; the April Breakfast Interview with an Author featuring Katherine Sartori, mystery writer Jane Issac’s The Truth Will Out release on April 1st, AND the publication of Riddle in Bones, An Abishag’s Third Mystery. This entry was posted in Uncategorized, WRITING and tagged Barstow, book cover, Calico, calla lilies, Indelible Beats, Katherine Sartori, Riddle in Bones, shipwreck, SINKING SHIPS, SS Dominator, Victorville. Bookmark the permalink. Aww, too bad… But the cover really does look nice. I like the contrast of the colors. I just received the cover for the fourth Abishag and she did use the orange tree! A photo credit for you.